On behalf of the club, we would like to apologize to all who participated in yesterday’s Groovin’ Woodstock XC for the issues that most of you experienced with the course. The recent heavy rains and flood warnings over much of our area caused a necessary late adjustment to the course. Subsequently, a revised course map was published on our website as quickly as was possible. Additionally, it appears that the course markings were removed in many places by other trail users prior to our event. While we understand we are always taking a chance by marking a course the day before a race in some cases, we also hope for the best from those we share the trail with. 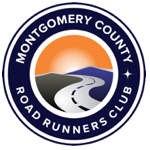 For anyone wondering — MCRRC takes extreme pride in producing professional race results in all of our low-key races. When our ability to produce accurate results is compromised, the general rule of thumb is that the event is turned into an untimed “fun run.” We apologize to anyone who is disappointed by not having their times recorded yesterday and by the race’s removal from the XC Series. We do want to take a moment to thank all of the volunteers for giving of their time yesterday, the timing team for working what proved to be a difficult & stressful situation, and of course to our Race Director Gretchen Bolton for rolling with the punches as best she could and keeping calm under the pressure of a disappointing situation. We do hope you all managed to have “fun” during the “run” & that those of you who were awarded extra miles, appreciated the additional time spent in nature.